A traditional brick and mortar storefront isn’t the only way to have a successful business anymore. Small and mobile businesses need a payment processing solution that will be as mobile as they are. Smartphone card readers attach directly to your smartphone, usually through the headphone jack. Their small size makes them easy to transport, meaning you can have the freedom to expand your business anywhere whether you run a food truck or sell at trade shows. With a smartphone card reader, you’ll be able to accept credit cards anytime, rather than just cash, which will drastically increase your sales. Having a card reader that plugs into your phone is fantastic, but without a secure processing app, it’s virtually useless. A safe and secure mobile app, in coordination with a smartphone card reader, will turn your smartphone or tablet into a secure virtual terminal that will let you accept credit cards with ease. The easy to use nature is appealing to customers, plus it can be fun to sign with your finger. Most apps have a tipping option that lets your customers leave you some gratuity directly from the tablet or smartphone. An email receipt system means neither you nor your customers need worry about losing a small scrap of paper. Even in today’s increasingly Internet-connected world, there are times when you can’t be connected to the Internet. Customers expect to be able to swipe their cards, and having to type or even record credit card information by hand will slow you and your customers down. A secure card reader that can accept payment to be fully processed later, all while not connected to the Internet, is a must have. Add to that card reader the ability to securely process payments in real-time when it can connect to the Internet, and you instantly have something indispensable. A good card reader will encrypt data from the moment of the credit card swipe, regardless of whether or not you are Internet connected, then delete sensitive payment information from the device to increase security. Managing a business is stressful enough without having to worry about whether or not credit card payments will be safely and correctly processed. A safe and secure online terminal where you can process credit card payments–and know instantly if a card is accepted or declined–means you can stop worrying, and get back to making your business even better. Accepting credit cards with any computer or smartphone is as simple as entering customer credit card information. You should also be able to generate reports, create a recurring transaction, and automatically re-attempt collection in cases of insufficient funds. You could even link your online terminal to a card reader to make accepting credit cards even easier. You might not always be able to, or even want to, accept payment at the moment a service is rendered. In those cases, you may need to send an invoice requesting payment. But merely sending an invoice is not a guarantee of payment. Your customers might lose the invoice, or simply forget to respond. Sending an email invoice can be more convenient for both you and your customers. You’ll be able to create an invoice, outlining exactly what your customers will be paying for. Then, instead of having to wait for snail-mail and worrying about processing a check, you can include a totally secure link for accepting payment right within the email. The link will take your customers to a completely secure payment area, making payment a smooth process. Exploring alternate methods of processing payments can help your business expand in new ways. 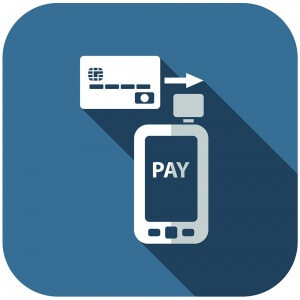 If you want to simplify, increase security, or have more options for payment processing, contact the experts at ProPay. Tyler is a member of the Lendio marketing team. He is passionate about digital marketing, small business, and helping small business owners succeed. Tyler is an outdoorsman and loves spending time with his family.